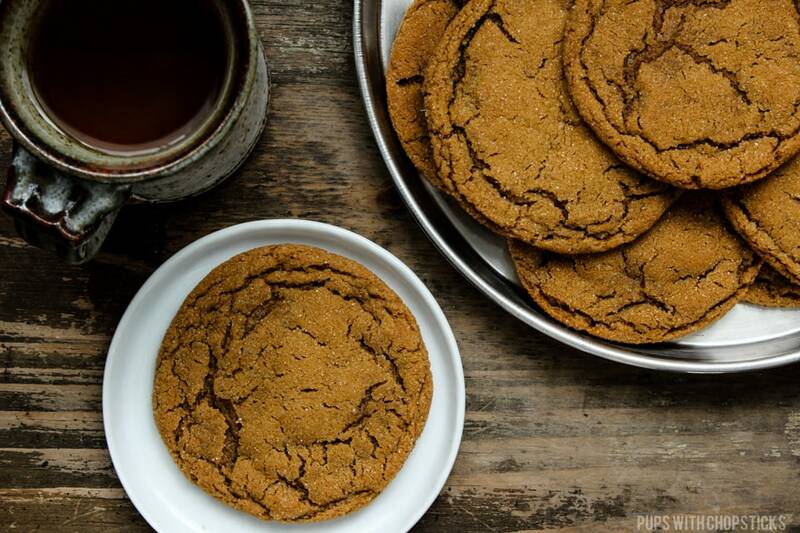 For this ginger molasses cookie recipe, all ingredients can be found at your local grocery store. For this recipe, use Fancy Molasses and not Blackstrap Molasses. Fancy molasses is higher in sugar and a lot less thick. Cookie dough made with blackstrap molasses are more dry and thick and slightly less sweet and slightly bitter which is not what we want for this recipe. When you are mixing the dry ingredients together in a separate bowl with the flour, make sure your baking soda is not clumpy. If it is, use your fingers to break apart the clumps so that it can evenly distribute into the flour better. When you start to mix in the dry ingredients to the wet ingredients, add the dry mix in a few batches on a lower speed so the flour doesn’t fly up into the air and get everywhere! 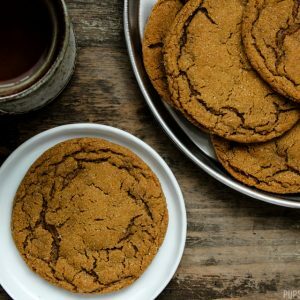 This five spice ginger molasses cookie recipe makes a lot of cookies and when I say a lot I mean approximately 28-30 GIANT ginger molasses cookies, so if you make smaller cookies you will probably get double the amount but from my findings, the smaller the cookie you make the less flat they will be. I found that cookies made smaller tend to cook faster (and tends to gets overcooked faster). I like to use approximately 1.5 to 2 tablespoons of dough to make my cookie balls (they don’t need to be flattened on the cookie sheet). They come out a little bit bigger than a golf ball size. 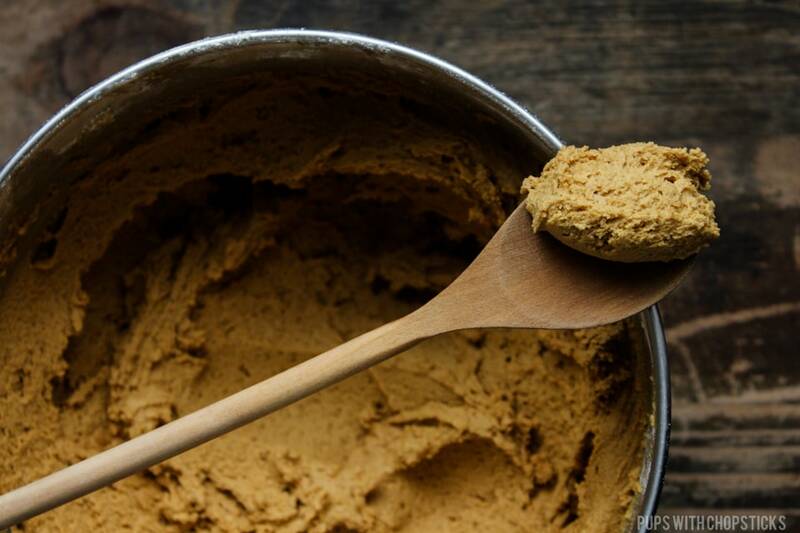 This ginger molasses cookie dough is very soft, and it’s meant to be! Personally, I don’t recommend putting them in the fridge to cool before rolling them into balls because cold cookie dough means the oven needs to take longer to cook it. If you find it hard to work with the dough because you have warm hands like I do and the dough gets super melty and mucky, then try to run your wrists under cold water to cool your hands down a bit. This works for me every time. When you are rolling them, try to be quick and gentle and then toss the cookie balls into a bowl of sugar and swirl the bowl to coat the balls without touching them too much. “Holy Batman! Those are huge cookie dough balls!” It’s intentional, I find the larger I make them, the flatter they get and it ensures I don’t overcook them. Baking is finicky, I get it. 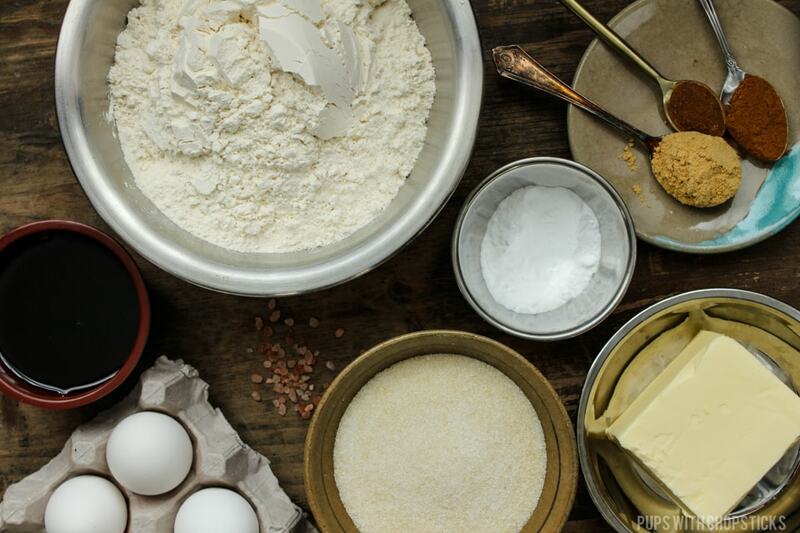 There are so many factors to it – it literally is science (butter fat content, elevation depending on where you are in the world) and a lot of different things may impact how your cookies turn out. I like to use my first cookie tray to gauge how the rest of my cookies turn out so you may need to do the same if they don’t turn out the way they should. 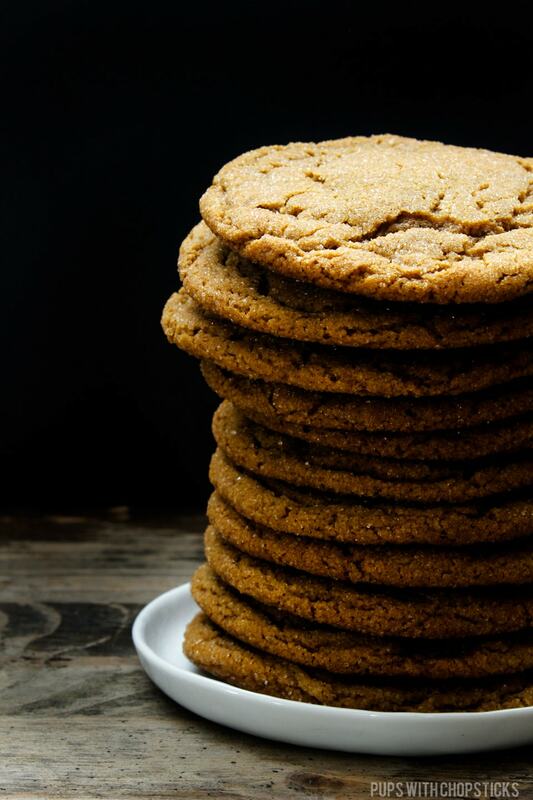 If your first tray of ginger molasses cookies are SUPER flat, try to add 3-5 more tablespoons of flour into the dough and chill the dough before rolling it into the sugar. In this case even making the cookie balls smaller might help because it will look the dough faster and won’t allow the cookie to ‘melt’. 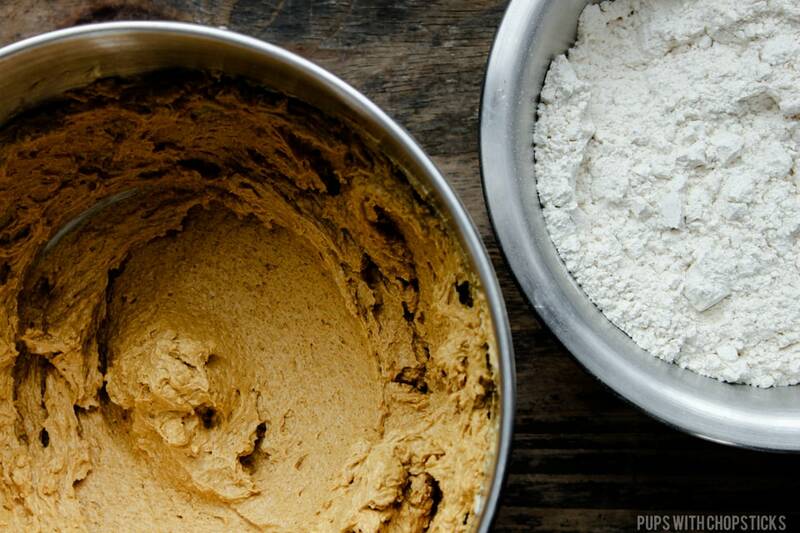 If your first tray of ginger molasses cookies are super puffy and cake-like, try adding more butter. 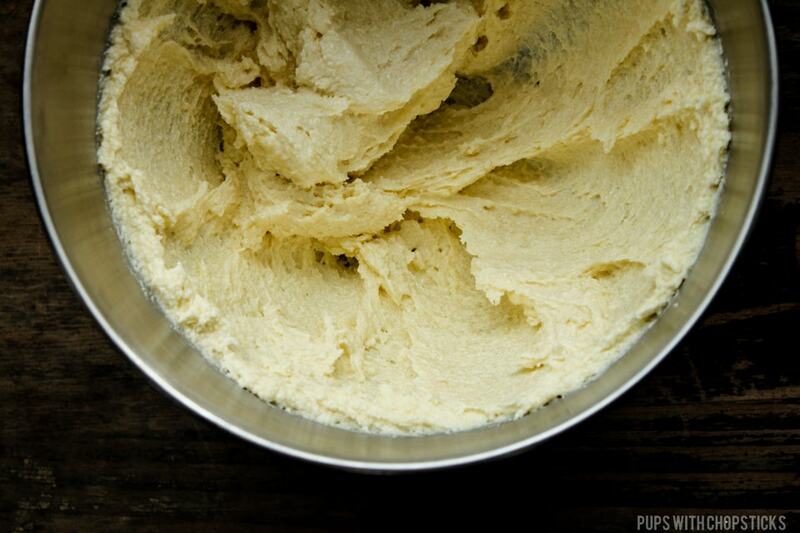 Add approximately 1/4 cup of melted butter and remix your dough again. Another thing I found was that skimping on sugar will produce a puffier cookie as well. I like to cut sugars in all my baked goods from time to time as well but in some cases you can’t if you want to achieve a certain consistency. Another thing to keep in mind as well is measurement of your ingredients. Make sure you are not using a heaping cup of flour, use a knife to scrape off excess flour from the measuring cup. It is SUPER IMPORTANT not to overcook these cookies. When you take these little guys out of the oven, they will feel SUPER soft and some might even look slightly puffy in the middle. It’s okay! Just make sure you leave them on the cookie sheet to cool. No touchie, no moving it to a cookie rack – just let it be for approximately 10 minutes on the cookie sheet, it’s still cooking with the residual heat from it. In that 10 minutes, your cookie will start to harden a bit and the middles should deflate and come down flatter in size. For the sake of speed, I like to have 2 cookie sheets on the go, so that when one tray is in the oven the other tray can sit outside and cool. Pre-heat the oven to 350F (176C) and set your oven rack to the middle of the oven. Line your cookie trays with parchment paper and set aside. Add in the molasses and vanilla extract and continue to mix until everything is well incorporated and fluffy. Make sure you are also scraping down the sides of the bowl so that everything is evenly mixed. In a separate bowl, combine all the dry ingredients and mix well. If your baking soda is clumpy, make sure to break apart the clumps with your fingers before adding it to the dry mixture. Slowly add in the dry mixture in a few batches into the wet mixture and mix on low speed (so the flour doesn’t fly everywhere). Remember to occasionally scrape down the bowl so you mix the dough evenly. Scoop out 2 tablespoons of cookie dough and roll it into a ball (It should be slightly larger than a golf ball). If your hands are super warm and are finding the dough tough to work with since it is very soft, try cool your hands down by running cold water on your wrist. 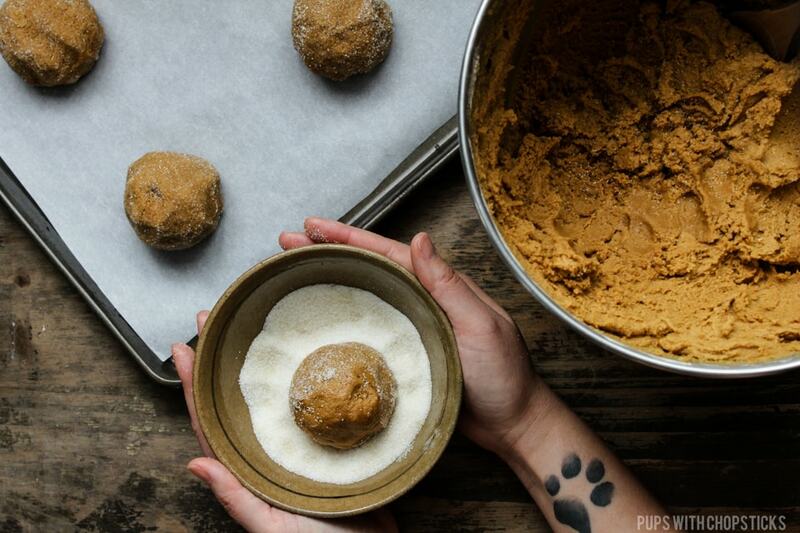 Roll the cookie ball in the sugar and add them to the cookie sheet with 2 inches of space between them. No need to press down the dough, keep them as balls. You will need to bake these in a few batches. Bake the cookies, 1 tray at a time for 10-12 minutes. Since every oven is different, start with 10 minutes and watch it. It should start to flatten up a little bit with a puffy center and a few cracks at around 8 minutes or so. Do not overcook the cookies, else they will not flatten during the cooling stage. *IMPORTANT* Do not remove the cookies from the cookie sheets for at least 10 minutes. Let the cookies cool on the cookie sheet and don’t move it. It is still cooking from the residual heat. During this time the cookie will slowly deflate and flatten itself down. I like to have 2 cookie sheets on the go so that I can have a batch of cookies in the oven at any given time. Once the cookie has cooled for 10-15 minutes, transfer them to a cooking rack. The dough for this cookie is very soft but it is intentionally to create a soft and chewy cookie. Try to work fast when rolling them into balls use the bowl of sugar to coat the cookie dough balls by swirling it around so you don’t need to touch it too much. If your hands are too warm to handle the dough (gets very soft and melty on you) cool your hands by running some cold water on your wrists. All I can say is, WOW! These cookies were (verb tense intended!) fantastic! 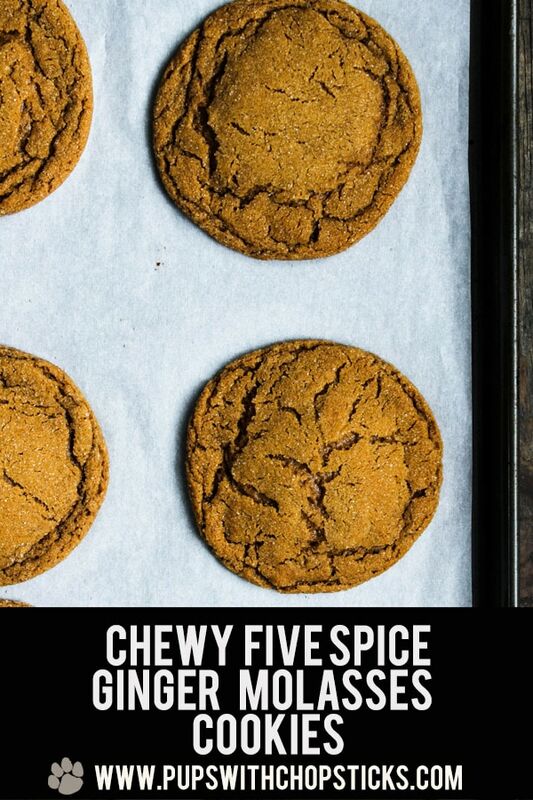 I’d never made molasses cookies before, so I was wondering how these would turn out. Once I got started, I realized that I was out of vanilla. Not wanting to run to the store, I decided to try adding almond extract, instead. It worked out great! Next time I’ll try with vanilla, but the almond this time sure made a big hit! I am SO happy this recipe were a hit with you! 😀 You really made my day Dan! 🙂 Adding almond extract was a BRILLIANT idea! I’m actually super excited about it and will definitely try it out on my next batch too!! Whee! These cookies seem perfect, and I really like how big they are! 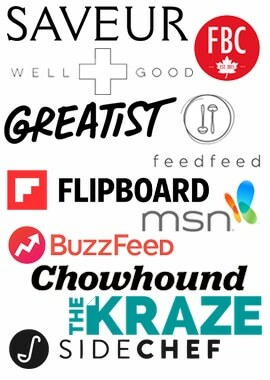 And ice cream sandwiches… You read my mind!!! 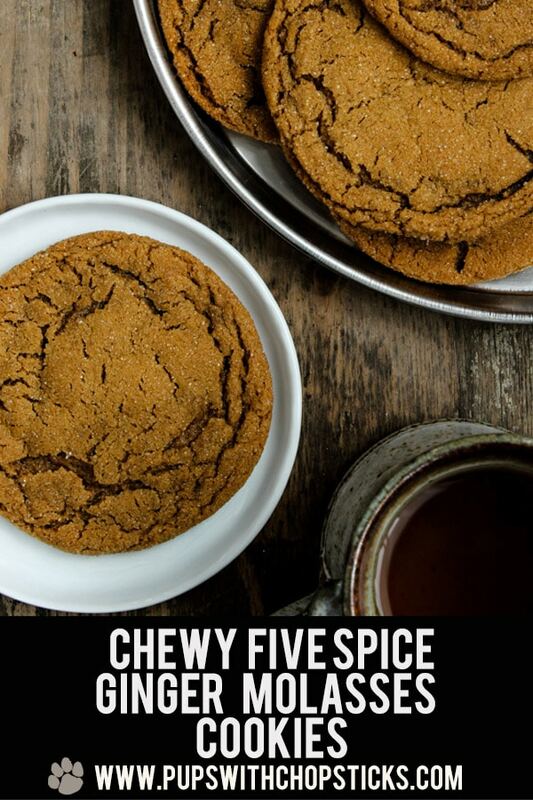 I love your bright idea comes up the way to add 5-spice powder into this ” Chewy Five Spice Ginger Molasses Cookies”. The dough I followed your instruction to make — hilarious. (Honestly, I sometimes buy ready-to-do dough from bakery stores.) But this time it turned out a big success for this. Kids enjoyed a lot and packed some to school as snacks. Don’t worry, I have my lazy days when I sometimes by ready-made doughs cookie as well! heehee 🙂 I am happy this was a success for you and that they enjoyed it. I love molasses and all the spices that you used here. I bet they taste amazing! I have a ton of molasses left over from my Christmas baking projects. This goes to the top of my baking list now!!! It’s such a cinnamony warm spice, it seemed like a natural fit right? It’s funny I had to be told this flavour profile by husband before I even put two and two together for that eureka moment to use it haha! 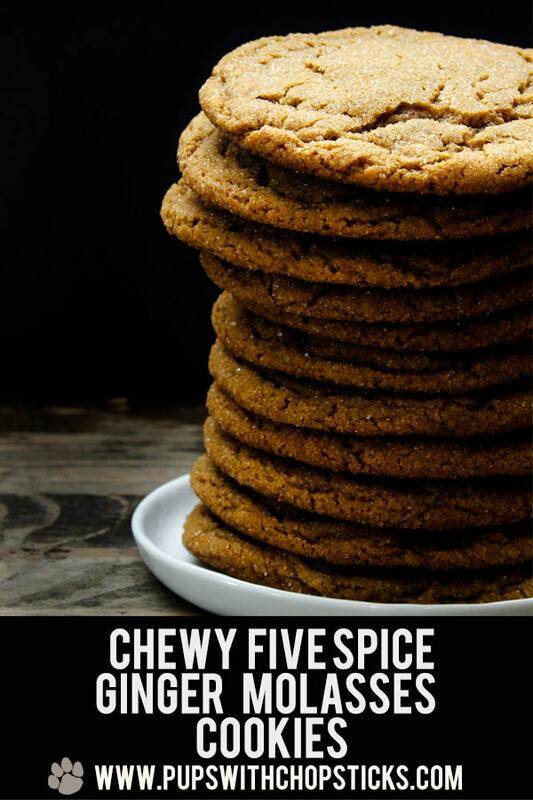 I love a good chewy cookie & your Toubleshooting part is a great tip! 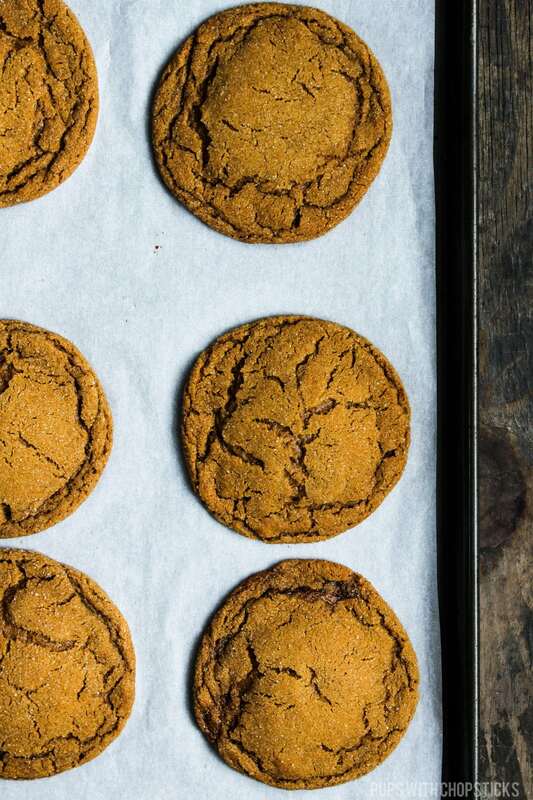 Ginger molasses cookies are some of my all-time favorites, so I love that you’ve given them a little kick in the spice department—I’m sure I’m going to love them.